Panzanella is a Tuscan salad typically made with pieces of stale bread which absorb the salad dressing and juices from the vegetable ingredients in the salad. Panzanella made with fresh summer tomatoes is one of my absolute favorite summer salads. But what about winter panzanella? I had some leftover pumpernickel bread, so I decided to create a winter panzanella. 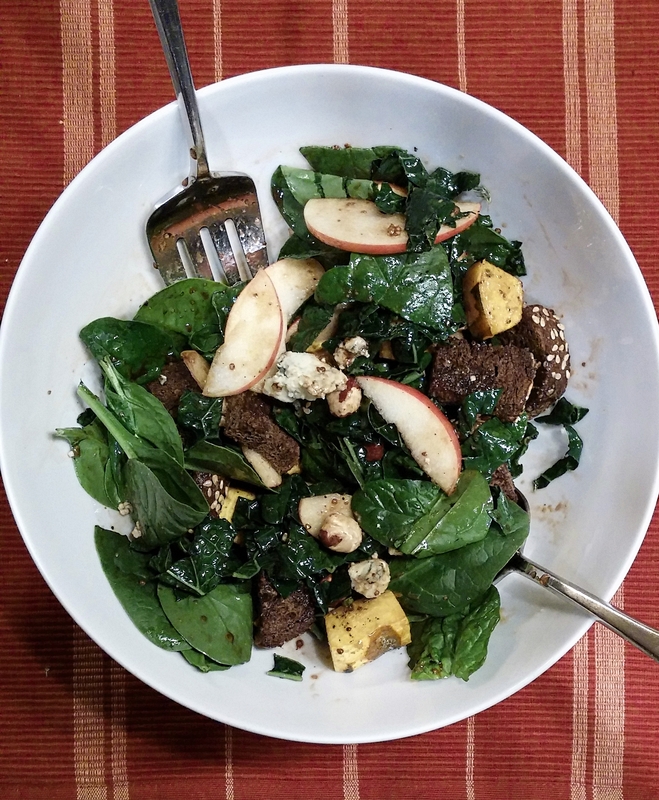 Roasted acorn squash, crisp apple, sauteed kale and toasted hazelnuts all contribute to this delightfully wintry salad. This salad is amazing and rivals the summer classic. It would be an excellent addition to any holiday table.